This book is a cross-cultural examination of slavery. It draws material from the many regions, and widely separated historical periods, in which slavery has existed - ancient Greece and Rome, medieval Europe, the Muslim societies of the Middle East and Africa, sub-Saharan Africa and the Americas. With such a wide geographic and chronological scope, Slavery will provoke historians and sociologists to make new connections and see old problems in a fresh light. Turley analyses three key themes in the history of slavery: the social and economic importance of slavery within societies, the experience of slavery by both the slaves and those who control them, and the means by which slavery was reproduced and maintained in different societies. Employing this thematic approach, Turley acknowledges the historical diversity of slavery and develops two models of slave societies - those in which slavery was primarily a domestic institution (societies with slaves) and in those in which it was the mode of production on which the dominant group depended for its position (slave societies). The book also explains how slavery was maintained by discussing the role of race, ethnicity and religious differences in the functioning of slave systems. 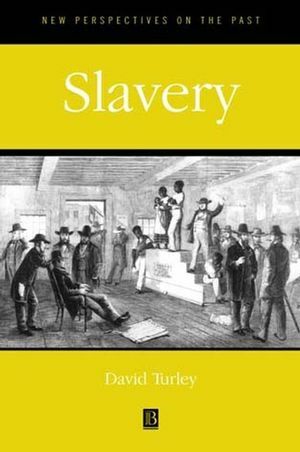 Turley completes this wide-ranging analysis of slavery by examining emancipation, showing that both the early modern expansion of slavery and its ending were paradoxically connected to different phases of European imperialism. Studies at the University of Kent at Canterbury. His previous books include The Culture of English Anti-Slavery, 1780-1860 (1991) and American Religion (1998). 2. Who Became Slaves, How, on What Terms?. 3. Societies with Slave and Slave Societies. 5. The Contraction of lavery. * Examines the central features of slavery from Classical Antiquity to the twentieth century. * Considers the ways in which Christianity and Islam have affected slavery. * Analyzes why forms of enslavement continue.